You may have been assembling your boards by hand up to this point, and you’re looking to be able to produce more boards faster. Or you may have been outsourcing the assembly to a contract electronics assembly house. Either way, it’s helpful to know some basics about SMT production before you make any costly investments in equipment. The basic equipment for PCB production are the screen or stencil printer, the pick and place machine and the reflow soldering oven. 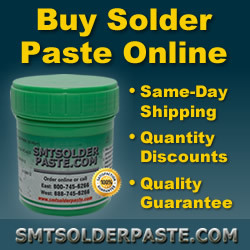 The screen printer applies solder paste to the PCB on the pad locations. 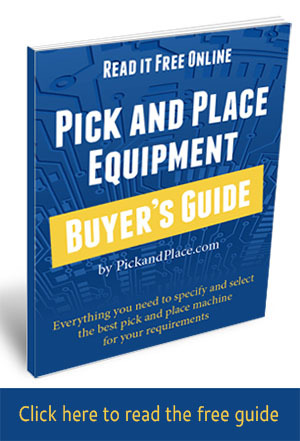 The pick and place machine picks up, inspects and places SMT components on programmed locations. The reflow oven brings the PCB assembly up to a temperature high enough to liquefy the solder paste (this is called “liquidus”). When the PCB assembly cools, it is finished and ready to go. For mixed-technology assemblies (containing both surface mount and through-hole components), a wave solder machine may also be required to solder the through-hole leads. You may also need board defluxing, stencil cleaning, and inspection equipment.